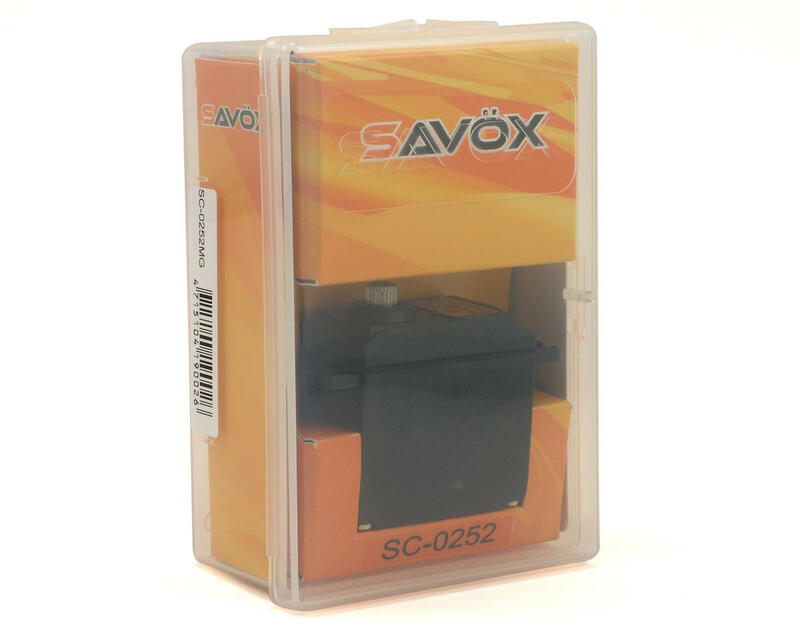 This is the Savox SC0252MG Standard Digital Servo. Ideal for 30 size airplane or surface vehicle steering applications. Bought mine through Savox for the Free T-Shirt. Using this for throttle/brake on MBX-5T and it works Great! Has taken the abuse of my bad driving so far. bought this servo for my associated sc10 and i have been punishing this thing relentlessly for a while now. it has held up beyond my expectations. at a price of half the cost of other servos that i have purchased in the past, this thing is a true value. if your looking for a strong reliable servo that is inexpensive then this is the servo for you. I gotta say, for the price this is a great servo!! When I was looking to upgrade my Traxxas E-Maxx, I was faced with the dilemma of finding 2 servos that were strong but yet I could afford and that's when I came across this one and found it on ebay brand new on sale. I was skeptical at first, but it was super strong and controls my E-Maxx no problem. No parts modding or special servo horn needed, it fit with the stock setup perfectly. What was even better was that they're $2 cheaper than the stock Traxxas 2075 servo yet provided more torque!!! My first Savox brand servo! Installed in a RC10T4.1, tight fit, I purchased the Aluminum Servo Horn from Savox.com, this servo is powerful, so get a good quality servo horn and make sure everything is TIGHT on this baby! No problems with the dreaded 'brown out', this thing works perfect! 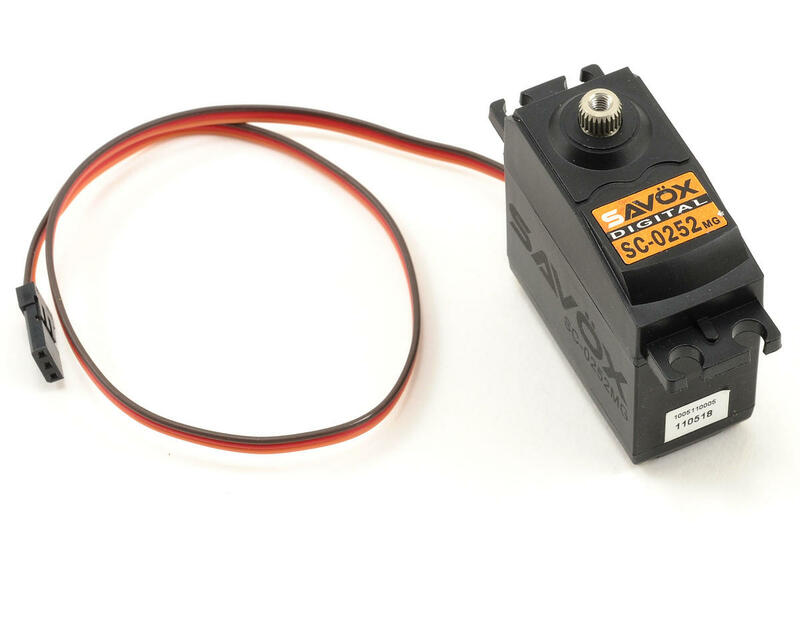 My next servo will be a Savox servo!! Have this servo in two sc10's - so far no problems. One is using the stock esc and the other is using a mamba sv2 esc. I used a glitch buster on the mamba unit because I have read that the internal BEC is a little weak and have experienced no problems with this set-up. Requires some adjustment getting servo horn "just right" and the servo horns I have that are thicker or more overbuilt I could not get a proper fitment. Servo size is almost like stock. Hard to beat price!! The good of this servo easily outweighs the "Bad" and really, the bad isn't all that important. If you're looking for something a little more reliable for your Traxxas 1/10 scale RTR's, this is a pretty good option, as long as you either take the time to waterproof it, or you aren't interested in running your vehicles in water. I've had mine for about three years in a number of applications, and it's never let me down. 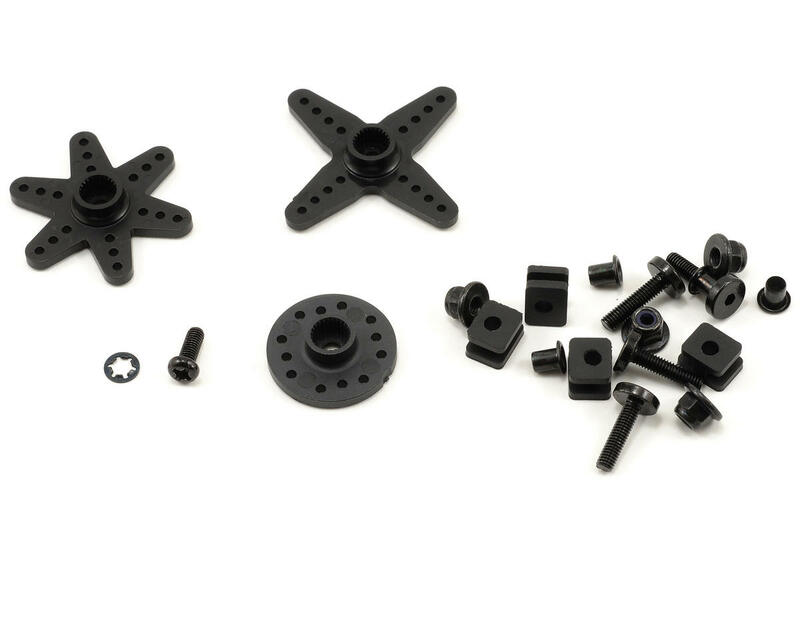 There are faster and stronger servos on the market, but you really can't beat the price. Also a good little servo to stick in kits if you aren't looking to spend the big bucks on the high end servos. This will get you around the track just fine. Running in my Tamiya Subaru Brat plenty of torque and speed. Its a Savox never had a issue with any of them i have bought. Originally put into a b4.1, tight fit and F servo arm fits really really tight. They don't supply a one post servo arm so I just puched on the F servo arm with a little muscle. It didn't line up real well with the chasis like my airtronics did with the factory servo mounts so I ended up moving it to my sc10, fit a little better on chassis, speed and torque great for price but getting it set-up was a little bit of work compared to my 94770 airtronics. Great servos, These are the same size as Futaba S3305 servos and work great in 1/8 scale buggies.